This jeep has been faithfully serviced by the area best ASE certified technician. You can not spend a penny on this jeep. As close to perfect an example as you could expect from a 2012. You can buy one cheaper, you can;'t buy one nicer. Priced higher than most, and worth every penny. Shown by appointment only. 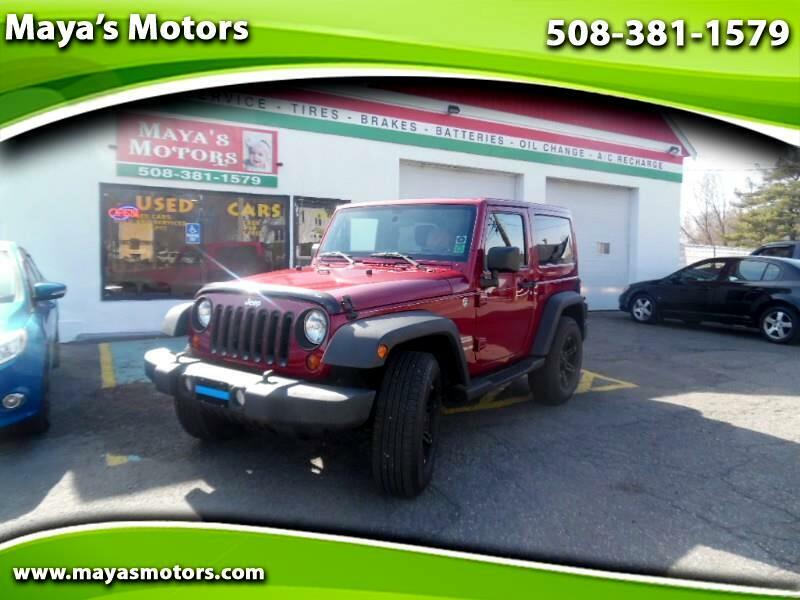 GIVE US A CALL 508-381-1579, WE GIVE YOU OUR LOWEST PRICE UP-FRONT IN ORDER TO SAVE YOU TIME AND PUT AN END TO STRESSFUL NEGOTIATIONS,ALL OF OUR CARS ARE SERVICED AT OUR FACILITY AND READY FOR STATE INSPECTION. FINANCING AVAILABLE (GOOD/BAD CREDIT, NO CREDIT, TAX ID) VISIT US ON THE WEB WWW.MAYASMOTORS.COM.